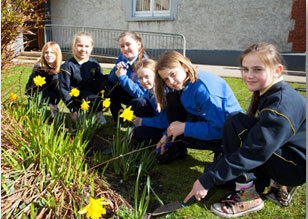 Sacred Heart Primary is located on wonderful site in the centre of Tralee. There is a great variety of trees and plants in the Presentation Convent grounds, while we are also only a stone’s throw away from the Town Park. 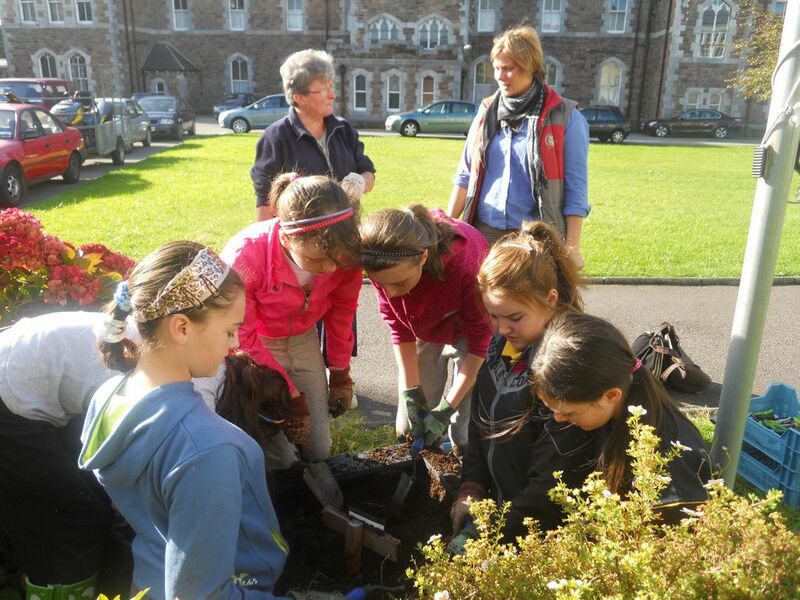 Both provide many learning opportunities for all our pupils. The school garden is a great addition to our school. The children learn and have fun in a natural, ever-changing environment where they learn to appreciate nature, nutrition, and even how subjects such as maths, reading, geography, history and much more are very much part of our everyday lives. We have a range of shrubs in our garden which give us plenty of colour throughout the year. The harsh winters caused much damage to many of our established shrubs so we have been careful to choose hardy varieties when replanting. We also grow vegetables such as potatoes, carrots, onions, beetroot, lettuce and parsnips, while there is also a selection of herbs that will add interest to any of your favourite dishes. The garden is indeed a very interesting place to spend some time. From time to time you will find rain gauges, wind vanes, thermometers, nest boxes and a variety of gardening implements as John, our caretaker, and groups of children work on their latest projects. It is also a haven for birds which bring added colour and wonderful sounds to the garden.